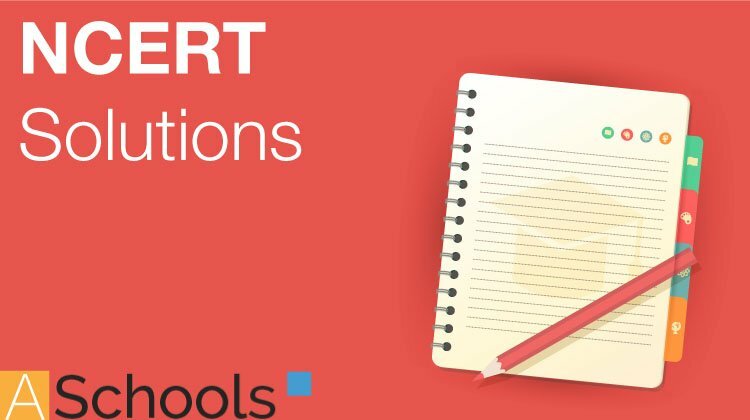 Get here NCERT Solutions for Class 11 Chemistry Biology 13. 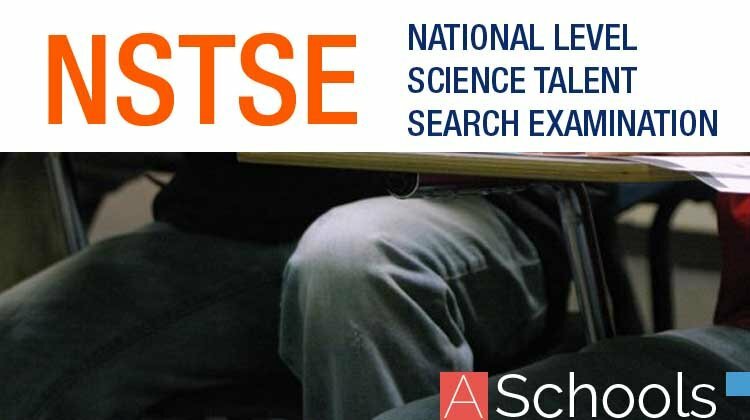 These NCERT Solutions for Class 11 of Biology subject includes detailed answers of all the questions in Chapter 13 – Photosynthesis in Higher Plants provided in NCERT Book which is prescribed for class 11 in schools. 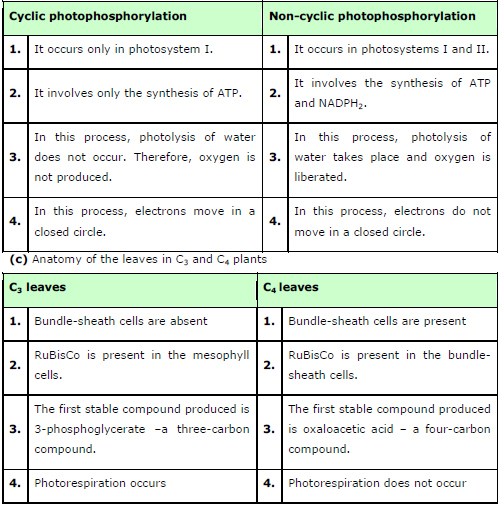 Class 11th Biology Chapter 13 Photosynthesis in Higher Plants NCERT Solution is given below. Question 1: By looking at a plant externally can you tell whether a plant is C3 or C4? Why and how? Answer One cannot distinguish whether a plant is C3 or C4 by observing its leaves and other morphological features externally. Unlike C3 plants, the leaves of C4 plants have a special anatomy called Kranz anatomy and this difference can only be observed at the cellular level. For example, although wheat and maize are grasses, wheat is a C3 plant, while maize is a C4 plant. Question 2: By looking at which internal structure of a plant can you tell whether a plant is C3 or C4? Explain. Answer The leaves of C4 plants have a special anatomy called Kranz anatomy. This makes them different from C3 plants. Special cells, known as bundle-sheath cells, surround the vascular bundles. These cells have a large number of chloroplasts. They are thick-walled and have no intercellular spaces. They are also impervious to gaseous exchange. All these anatomical features help prevent photorespiration in C4 plants, thereby increasing their ability to photosynthesise. Question 3: Even though a very few cells in a C4 plant carry out the biosynthetic – Calvin pathway, yet they are highly productive. Can you discuss why? sheath cells. As a result, CO2 is released. The increase in CO2 ensures that the enzyme RuBisCo does not act as an oxygenase, but as a carboxylase. This prevents photorespiration and increases the rate of photosynthesis. Thus, C4 plants are highly productive. Question 4: RuBisCo is an enzyme that acts both as a carboxylase and oxygenase. Why do you think RuBisCo carries out more carboxylation in C4 plants? 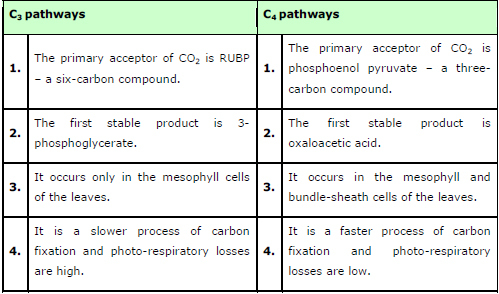 Answer The enzyme RuBisCo is absent from the mesophyll cells of C4 plants. It is present in the bundle-sheath cells surrounding the vascular bundles. In C4 plants, the Calvin cycle occurs in the bundle-sheath cells. The primary CO2 acceptor in the mesophyll cells is phosphoenol pyruvate – a three-carbon compound. It is converted into the four-carbon compound oxaloacetic acid (OAA). OAA is further converted into malic acid. Malic acid is transported to the bundle-sheath cells, where it undergoes decarboxylation and CO2 fixation occurs by the Calvin cycle. This prevents the enzyme RuBisCo from acting as an oxygenase. Question 5: Suppose there were plants that had a high concentration of Chlorophyll-b, but lacked chlorophyll-a, would it carry out photosynthesis? Then why do plants have chlorophyll-b and other accessory pigments? Answer Chlorophyll-a molecules act as antenna molecules. They get excited by absorbing light and emit electrons during cyclic and non-cyclic photophosphorylations. They form the reaction centres for both photosystems I and II. Chlorophyll-b and other photosynthetic pigments such as carotenoids and xanthophylls act as accessory pigments. Their role is to absorb energy and transfer it to chlorophyll-a. Carotenoids and xanthophylls also protect the chlorophyll molecule from photo-oxidation. Therefore, chlorophyll-a is essential for photosynthesis. If any plant were to lack chlorophyll-a and contain a high concentration of chlorophyll-b, then this plant would not undergo photosynthesis. Question 6: Why is the colour of a leaf kept in the dark frequently yellow, or pale green? Which pigment do you think is more stable? Answer Since leaves require light to perform photosynthesis, the colour of a leaf kept in the dark changes from a darker to a lighter shade of green. Sometimes, it also turns yellow. The production of the chlorophyll pigment essential for photosynthesis is directly proportional to the amount of light available. In the absence of light, the production of chlorophyll-a molecules stops and they get broken slowly. This changes the colour of the leaf gradually to light green. During this process, the xanthophyll and carotenoid pigments become predominant, causing the leaf to become yellow. These pigments are more stable as light is not essential for their production. They are always present in plants. Question 7: Look at leaves of the same plant on the shady side and compare it with the leaves on the sunny side. Or, compare the potted plants kept in the sunlight with those in the shade. Which of them has leaves that are darker green? Why? Answer Light is a limiting factor for photosynthesis. Leaves get lesser light for photosynthesis when they are in shade. Therefore, the leaves or plants in shade perform lesser photosynthesis as compared to the leaves or plants kept in sunlight. In order to increase the rate of photosynthesis, the leaves present in shade have more chlorophyll pigments. This increase in chlorophyll content increases the amount of light absorbed by the leaves, which in turn increases the rate of photosynthesis. Therefore, the leaves or plants in shade are greener than the leaves or plants kept in the sun. (a) Generally, light is not a limiting factor. It becomes a limiting factor for plants growing in shade or under tree canopies. 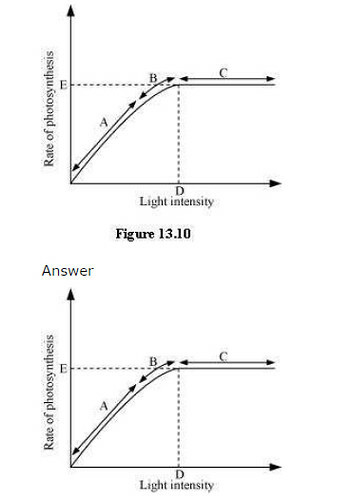 In the given graph, light is a limiting factor at the point where photosynthesis is the minimum. The least value for photosynthesis is in region A. Hence, light is a limiting factor in this region. (b) Light is a limiting factor in region A. Water, temperature, and the concentration of carbon dioxide could also be limiting factors in this region. (c) Point D represents the optimum point and gives the light intensity at which the maximum photosynthesis is recorded. The rate of photosynthesis remains constant after this point, even though the intensity of light.